Amanda McMillian, Anadarko Executive Vice President and General Counsel. HOUSTON, Aug. 15, 2018 /PRNewswire/ -- Anadarko Petroleum Corporation (NYSE: APC) today announced its board of directors has named Amanda M. McMillian Executive Vice President and General Counsel, effective immediately. Robert K. Reeves, the Company's Executive Vice President, Law and Chief Administrative Officer, will remain Executive Vice President and Chief Administrative Officer until his retirement at the end of 2018. McMillian joins Danny Brown, Executive Vice President, U.S. Onshore Operations; Bob Gwin, Executive Vice President, Finance and Chief Financial Officer; Mitch Ingram, Executive Vice President, International, Deepwater & Exploration; and Bobby Reeves, Executive Vice President and Chief Administrative Officer, on Anadarko's Executive Committee, reporting to Anadarko Chairman, President and CEO Al Walker. "Amanda is an exceptional leader whose experience and perspectives will be welcome additions to Anadarko's Executive Committee, as we continue to pursue safe, responsible and capital-efficient growth with improved returns for shareholders," said Walker. "During his 14 years with Anadarko, Bobby has been a significant contributor and trusted strategic advisor across multiple areas of the company. We are excited for Amanda's promotion and fortunate to have Bobby with us for the next several months to ensure a smooth transition. We wish him continued success upon his retirement." McMillian has served in positions of increasing responsibility since joining Anadarko in December 2004, including most recently as Senior Vice President, General Counsel, Corporate Secretary and Chief Compliance Officer. During her tenure at Anadarko, she also served as Vice President, General Counsel and Corporate Secretary of Western Gas Holdings, LLC, a subsidiary of Anadarko and general partner of Western Gas Partners, LP (NYSE: WES), a publicly traded midstream master limited partnership, from January 2008 to August 2012. 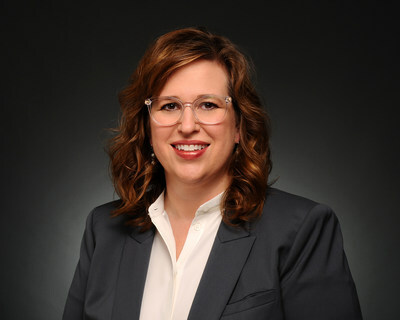 Prior to joining Anadarko, she practiced corporate and securities law at the law firm of Akin Gump Strauss Hauer & Feld LLP, where she represented a variety of clients in a wide range of transactional, corporate governance and securities matters. McMillian holds a Bachelor of Arts from Southwestern University and received both a Master of Arts and a Juris Doctor from Duke University, and serves on the Board of Trustees of Southwestern University.